Carla Del Ponte – Chief Prosecutor at the International Criminal Tribunals for Rwanda and the former Yugoslavia is one of the most important and interesting figures on today’s political stage. In four interviews she tells journalists about her life, how she works, what motivates her and how she copes with the horrors that have become a part of her everyday life. 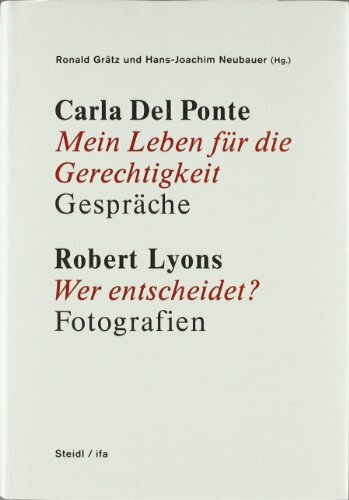 Robert Lyons is an American photographer who between 1998 and 2001 photographed survivors and perpetrators of genocide in the Rwandan civil war. His portraits do not reveal the identity of the subject, or what role they had played in the war, still sometimes traces of the conflict are visible in the face of the sitter. Through his democratic and unbiased approach Lyons shows how difficult it is to distinguish the perpetrator from the prey.